Icelock 544 Series is a modular component system that saves you hours of fabrication time while giving you the easy ability to change between expulsion and elevated vacuum suspension methods without having to modify the socket. With these kits, all componentry is included to build the Icelock 544 Series configurations. To the right is an exploded view of the components used in the final configuration and how they fit into the L-544400 Adapter. After installation, any of the Icelock 544 series valve plates will fit using only a 4mm hex key and Icelock 544 Wrench. See the table below for more detailed information about each kit and their recommended use. The L-544400 Socket Adapter is the common base for the Icelock 544 Series Kits. L-544400 is installed in a single seamless lamination and brings up quality and consistency in the overall manufacturing of the socket. Valve plates are available separate, without the socket adapter. To the right is an exploded example view of the components supplied with these Plates. 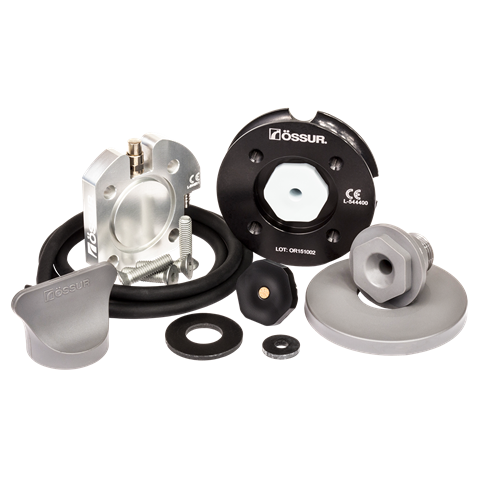 All the necessary seals, check valves and housings are supplied with each plate/adapter. The spare parts kit contains everything you need to replace things that wear out or get lost.